If you’re like me, you’re always debating how to be as stylish as you can with what you already have in your closet. Because as simple as it sounds, mixing and matching is difficult; which is why I often need feedback on an outfit and send endless photos to my friends asking for their opinions. Sometimes they respond, and more often than not, each person has a different outlook, and I end up back where I started, but now with even less time to decide. Sound familiar? If so, you’ll be as happy as I am to hear there’s a new device that can eliminate this vicious cycle once and for all: the new Echo Look. This device can fulfill all your hopes and dreams when it comes to fashion advice, mixing, and matching, so you can spend less time wondering and worrying and more time looking your best. What Is the Echo Look? 1 What Is the Echo Look? 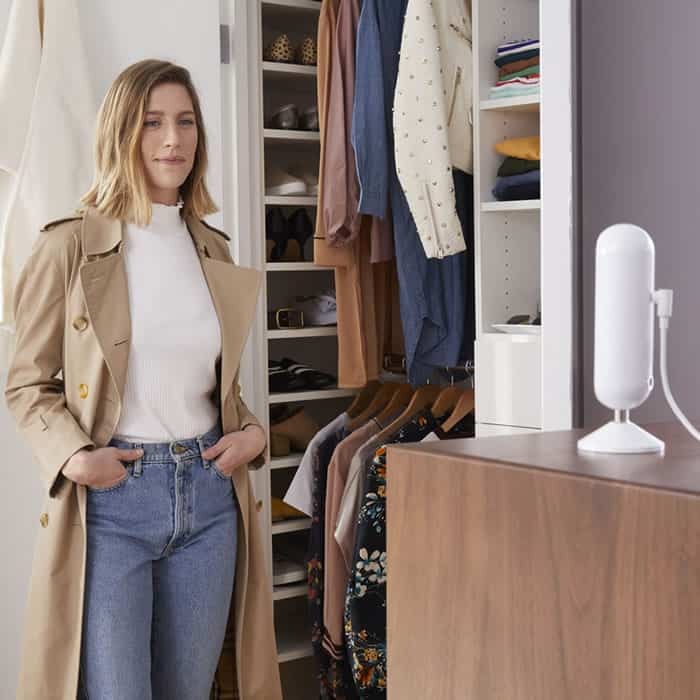 Echo Look is a hands-free camera device that is connected to Alexa; and while her primary objective is to make sure you’re always fashion-forward, she can do everything a standard Echo or Dot can do too. As far as fashion goes, you can talk to her, telling her when to take a picture or even a video of yourself so you can see a 360-degree view of your ensemble. Dress up in your desired outfit and then let Alexa help you decide if it’s the right choice. Say goodbye to the mirror selfies forever. And as you raid the closet, feel free to ask her questions about your day; whether it’s setting the alarm for a meeting or finding out about the morning’s news. This amazing little device is available to customers now by invitation only through Amazon.com. Echo Look is not only for girls, but men as well! I for one think the guys will be just as interested in trying to look their best. I have a younger brother who I know for a fact could use some serious fashion advice. I may have just found his birthday present! Photos – The pictures that the Echo Look takes go straight to your phone, so you can still share them with friends for feedback. But what makes the camera so unique is that it’s depth-sensing, which means that the background behind you will be blurred so you can better concentrate on the task at hand, which is lookin’ good! Videos – Not sure how a certain article of clothing looks from behind? No problem! Simply tell Alexa to take a video, that way you can see yourself from every angle possible. Play and replay the short video as many times as you need. Voice-Activated – I have struggled many an evening trying to use the timer on my cell phone in order to get a picture of my entire outfit. This entails setting up the phone, so it doesn’t fall, then running to where I think is the best location to stand and hope I’m right. Well, that struggle is over. Now, all you have to do is stand in the middle of your room and simply tell Alexa to take a picture of you when you are ready. This goes for the video as well! Lights – Never worry about the lighting again! I can’t remember how many times I have walked around in circles trying to find the best angle and where I can get the best lighting. Echo Look uses four LED lights to make you look your best, whether you’re in front of a window or getting ready to head out at night. Style Check – What happens when your friends are too busy to give their opinions on your outfit, but your date is in 30 minutes? Now, you can use Style Check, a fashion algorithm that can help you decide! Simply submit two options and it will tell you which one looks the best on you based on styles that are currently trending. Lookbook – Can’t remember that one outfit you wore last month, you know, that one that you got so many compliments on? Never forget again with your own personal Lookbook. You can keep track of what you wore and when! This is one of my favorite features. For my career, I see different people on separate days throughout the week. Using Lookbook, I can keep track of who saw me in what outfit and make sure I never double up with my clients and coworkers! 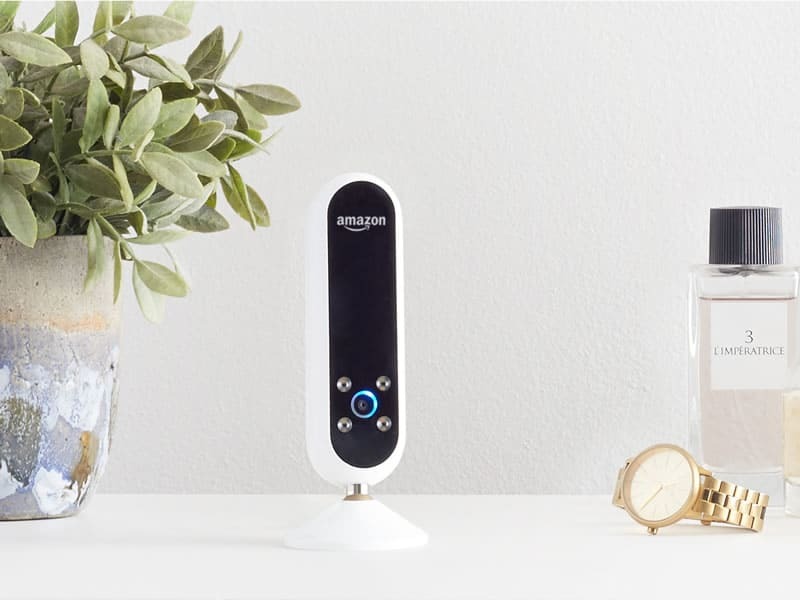 It’s still Alexa – Even though the Echo Look is meant to take the ultimate wardrobe selfie, it still functions as Amazon’s Alexa. Ask Alexa what the weather will be like so you can dress accordingly. Getting prepared for work? While you’re trying on outfits, ask what the fastest route to the office is. Can’t remember your schedule? Alexa does, and will promptly tell you while you put on your makeup. Once you have finished and are ready to wow the world with your fashion prowess, have Alexa start playing your favorite playlist to get you in the mood to succeed. There are endless ways to take advantage of Amazon’s amazing new invention. Not only does it take short videos so you can view and review your outfit, it also includes a live feed feature that goes directly to your phone in real time. It’s 100 times better than any full length mirror; just tell Alexa you want live feed, hold your phone, and watch yourself as you turn this way and that. Even though I can’t talk from personal experience, I imagine it’s extremely challenging for working mothers to get ready in the morning. Not only do they have to dress themselves for work, they have to do this while taking care of their children at the same time. Being able to ask Alexa questions and get fashion advice while running to and fro is crucial. Just like adults, kids want to look good too. Echo Look can be used on your mini me’s! Since most of us are not professional stylists, this handy dandy machine is priceless. However, if you are a pro, don’t take this for granted! Designers can use it to try out new looks and ideas on models, then get feedback from fellow designers and friends. Echo Look has made it easier than ever to get opinions on potential outfits. Trying to decide what to wear is one of most time-consuming things I do. This little machine could change my entire routine, whether I’m getting ready to leave for work, hang out with friends, or go on a date. What makes it even better (which at this point doesn’t seem possible) is that you can multitask like a fiend. This is indescribably useful when it comes to time management. I can’t wait to continue exploring all the opportunities this little device has to offer!